First 2008 nominee for most outlandish capitalization on the Age of Aquarius…Only $78! “Another Bill Graham line-up acknowledging different tastes, MacLean’s art work abandons detailed design to go with the flow of the Jim Kweskin Jug band and psychedelic-rock band Peanut Butter Conspiracy. Another Canadian band, The Sparrow, is on the billing. 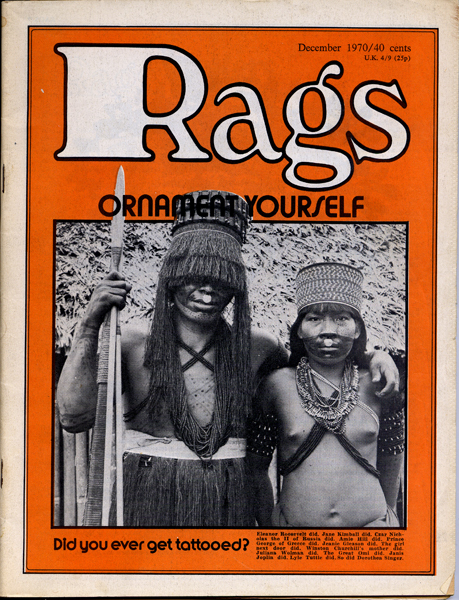 A part of the underground press movement Rags was published for a year, 1970-71. It covered the worlds of counter-culture fashion with street fashion reports, groovy adverts and a very liberated sense of style. As far as I can tell its print run was all b/w on rag paper. The December 1970 issue includes “Revolution” (with models acting out scenes from peoples history),”Life Amongst the Amazon Today” (on body modification in Amazonian tribes), “If God Hadn’t Wanted You To Wear a Bra He Wouldn’t Have Invented the Contour Council” (all about “the bra” with super hip writing!!) and “Raggedy Robin Raggedy Jane” (a profile of a Haight Ashbury clown couple). The SF Diggers went to bat against the hip capitalists in SF but the innocence, creativity and DIY styles displayed in this publication, which seems to have been distributed primarily in underground boutiques, is charming nonetheless. A mystery in its masthead is the listing of “commidify your dissent” artist Barbara Kruger. That name appears as one of two art directors. 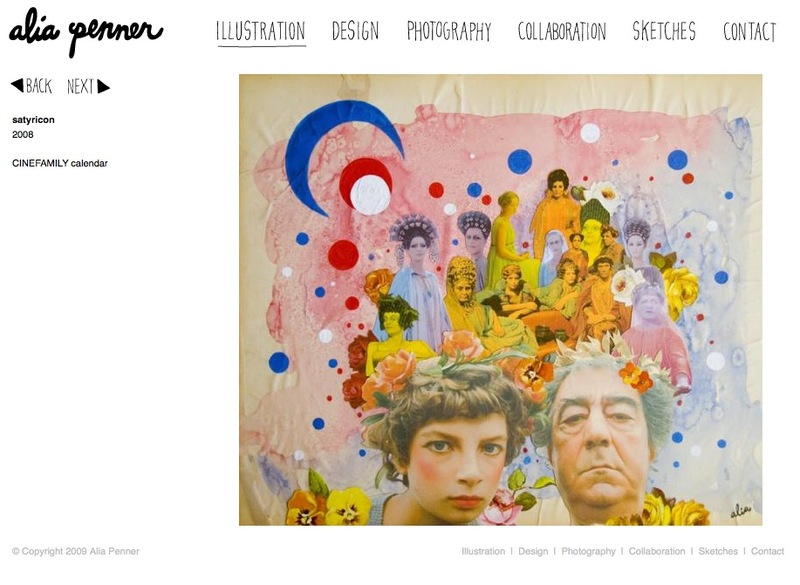 Cassandro Tondro has a blog uploading pdf’s of her collection of Rags. Check it out!